Shweta, a eleventh standard student, is the daughter of Smt. Komalam and Shri Sasidharan, who are great admires of the performing arts. Shweta has inherited this love of arts from them. Shweta started her training in Bharata Natyam at the age of 5 under the expert guidance of Dr. Meenakshi Iyer, at Kalashethram, Dombivli, who has moulded her into a versatile performer. 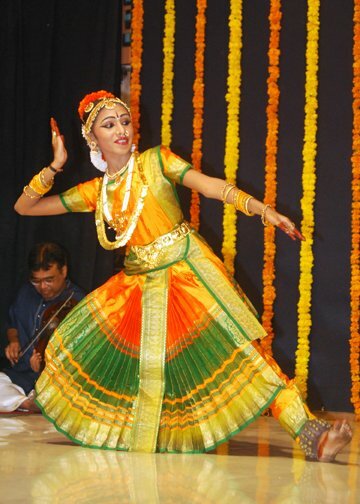 Apart from Bharata Natyam, she is also learning Western and Folk Dance. She has performed at various places and on many occasions to promote art and culture among young students. She had the opportunity to represent her school in the International Theatre Festivl-2007 held at Cuttak and was awarded the 2nd prize.